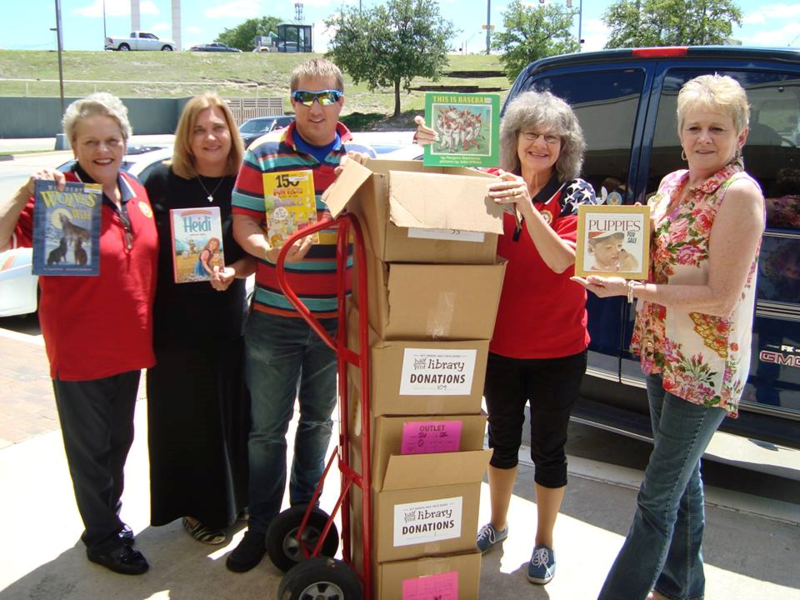 ALA Unit 626 registered for the Kid's Book Giveaway Program at Half Price Books and received 8 boxes of book which we donated today to the Texas Department of Family and Protective Services (DFPS). ALA Unit 626 member, Diana Leslie, works for DFPS, and after unloading the boxes, reported that there were 237 books! The books will be placed in the DFPS Rainbow Room here in Fort Worth.